What's coming up at COPACC? 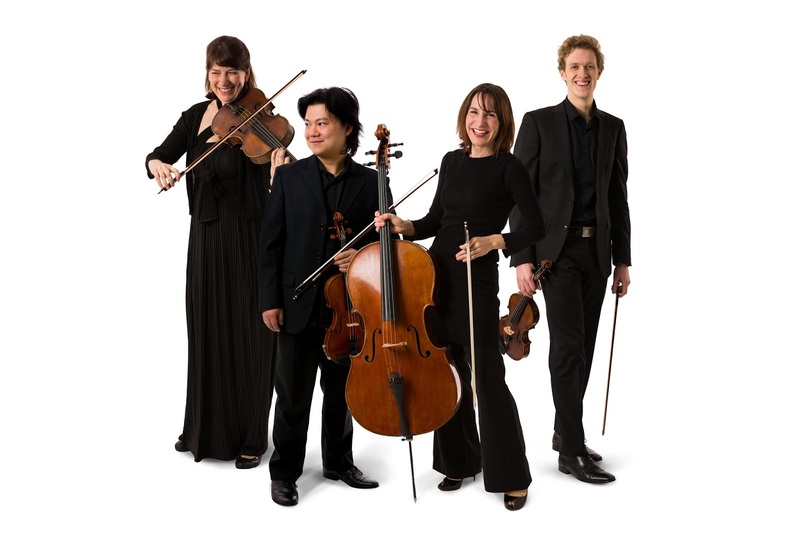 COPACC brings the Flinders Quartet to the theatre on Wednesday, September 27 at 11am. The quartet is one of Australia’s best known and loved chamber music ensembles and is regularly invited to perform at festivals throughout Australia, often in association with some of the country’s finest talentssuch as Slava Grigoryan, who performed here early this year in the Grigoryan Brothers. 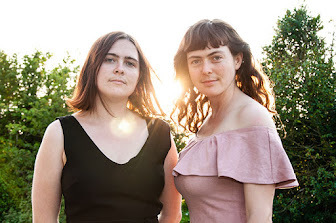 FQ have toured to the UK, Singapore, Finland, Sweden and Canada, andall 4 members of Flinders Quartet have a strong commitment to the development of Australian chamber music as well as its musicians and audiences. Join us at COPACC for an intimate evening with the high priestess of Australian pop, Kate Ceberano, and her musical partner, ARIA and Helpmann Award-winning Paul Grabowsky, on Wednesday, October 11 at 8pm. They take us on a very personal journey of words and music with brilliantly stripped back interpretations of some of the greatest love songs of the past 50 years. Kate is a cultural diplomat and national treasure and needs no introduction, while Paul’s contribution to Australian jazz is huge. 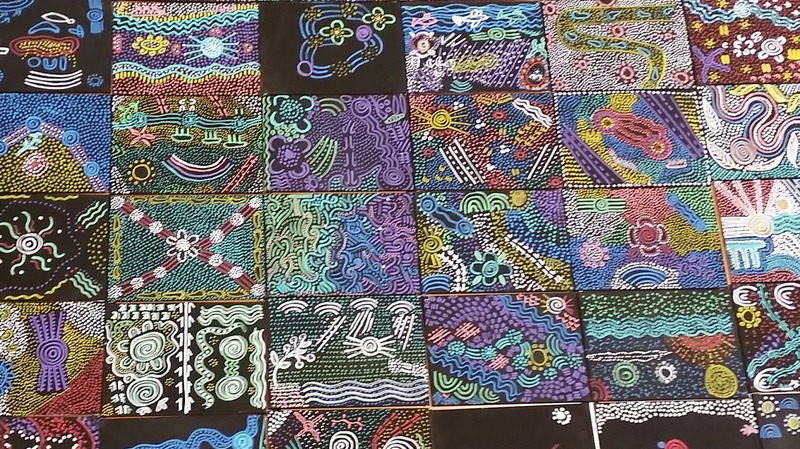 Collaborative community mural project with Gunditjmara artist, Joey Chatfield - GET INVOLVED! 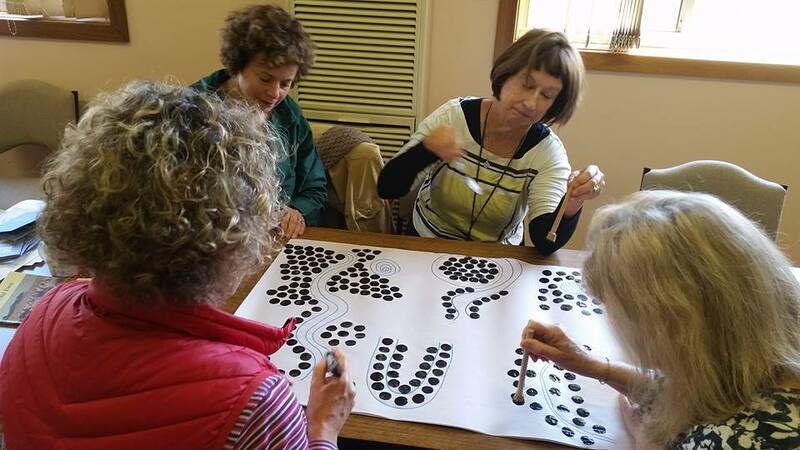 A few weeks back, a collaborative community mural project kicked off as part of the enLIGHTen Me Small Town Transformation project. 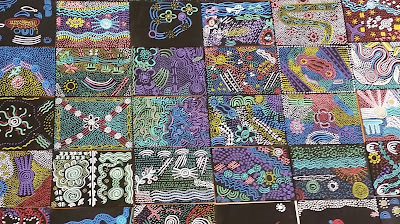 The mural project, led by Gunditjmara artist, Joey Chatfield, will lead to a wonderful 7 metre long mural that tells the story of Birregurra and it's relationship to the Birregurra Hall. Once complete, it will be erected in the landscape surrounding the hall. 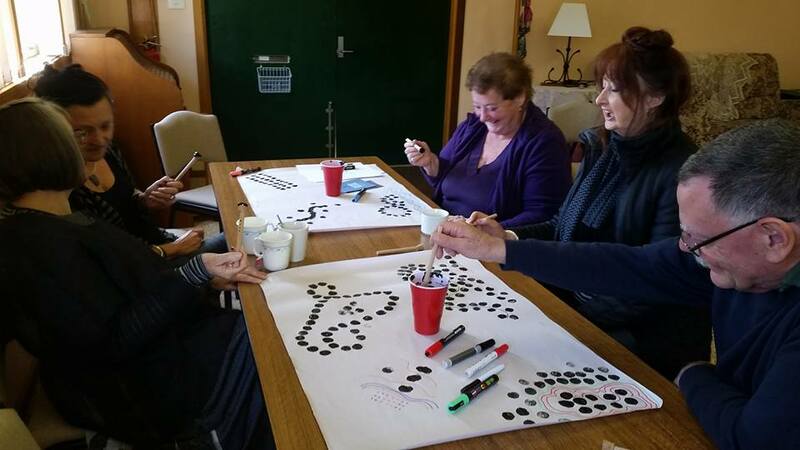 Birregurra Community Arts Group is a proud partner of this project and it was wonderful to see lots of BCAG members dipping their toe into the project and learning how to interpret stories into a rich visual canvas using traditional symbolism. The first session was attended by 42 participants including a whole bunch of talented local artists. It was a fabulous session with some real magic made by everyone. The session was about exploring symbols and stories and knocking up a mini canvas of work. And it's amazing what can happen in just a few short hours. See if you can interpret the stories of some of today's workshop participant's artworks using the symbolism info sheet. Individually these artworks are lovely. Collectively, they are a whole kaleidoscope of amazing. 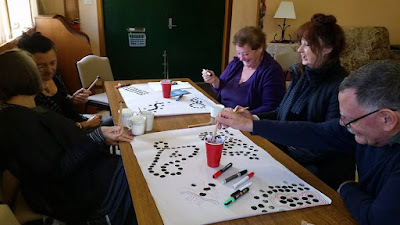 In the second session, we shared stories of Birregurra and practised our dot painting techniques for the upcoming mural work with Gunditjmara artist, Joey Chatfield. 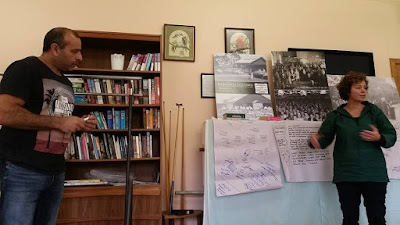 It was lovely listening to the history of Tarndwarncoort from Tom Dennis and local history from other long term residents including Brian Lawrence. 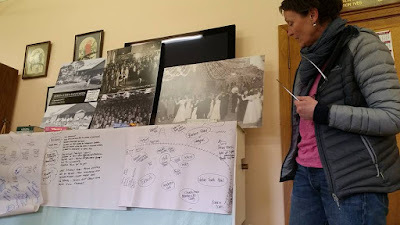 We heard about gypsies in gypsy wagons picking peas, wire becoming a disruptive technology, mysteries around the water hole, wildlife gathering en masse at the dam, and how a pregnant woman was rowed across the flooded barwon river so she could have her baby. The next session is Sunday 10th September and focuses on finalising the design for the mural as well as having some more fun practicing painting using traditional techniques. The project is free for all participants. Everyone 12+yrs is welcome to join in and can come along this Sunday or to subsequent drop in sessions on Wednesdays and Sundays 10am -12 noon. 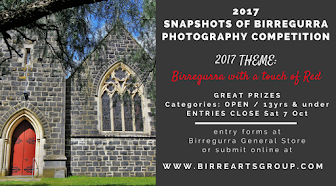 Details of drop in sessions will be advertised in Birregurra Mail and here so stay tuned.